May | 2012 | 50 Westerns From The 50s. 50s Westerns DVD News #89: Fox (Finally) Goes MOD. 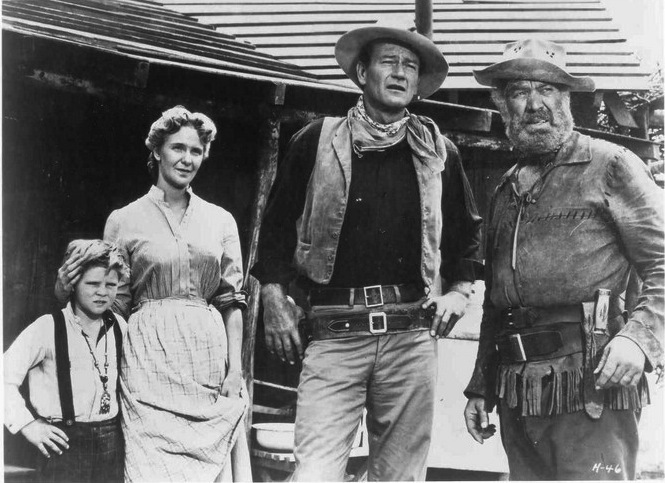 As we all know, and whether we really like it or not, the manufacture-on-demand DVD business is how we’ll feed our 50s Westerns habit in the future. So I’m pretty stoked that Fox has hopped on board with The Fox Cinema Archives. 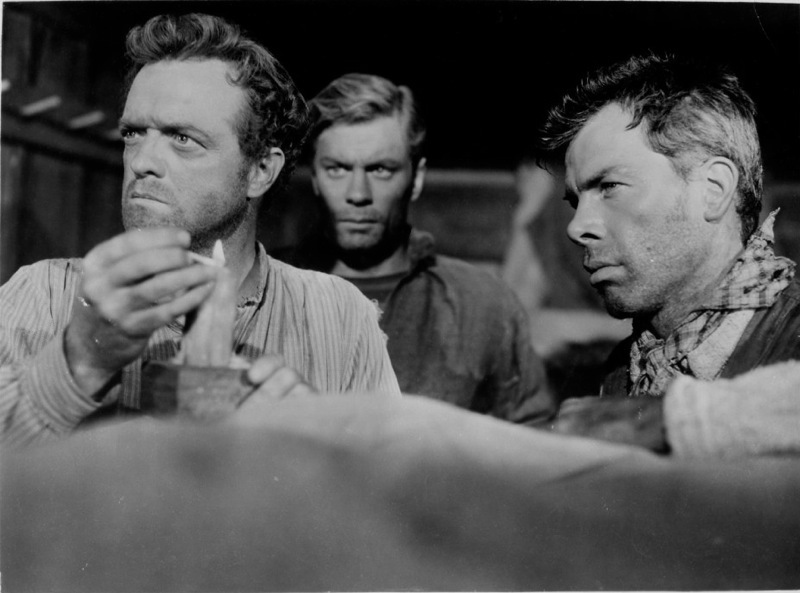 In the first batch of titles is Van Heflin in Hugo Fregonese’s The Raid (1954). It costars Anne Bancroft, Lee Marvin and Richard Boone. Also appearing are Peter Graves, John Dierkes, Kermit Maynard and William Schallert. I’d watch Van Heflin brush his teeth, so take my opinion with a block of salt. It’s a good picture. 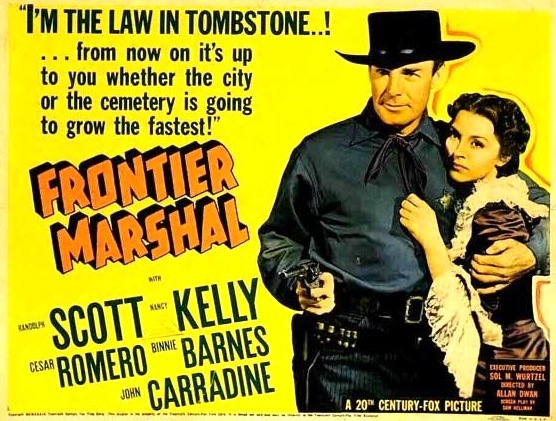 Also coming is Frontier Marshal (1939), Allan Dwan’s take on the gunfight at the O.K. Corral, starring Randolph Scott and Cesar Romero. Very highly recommended. So now let’s load the comments section with all the Fox pictures we want. Thanks, as always, to Paula for the tip. 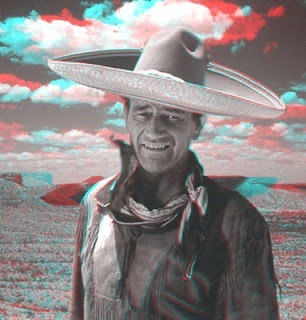 Saturday would’ve been John Wayne’s 105th birthday. 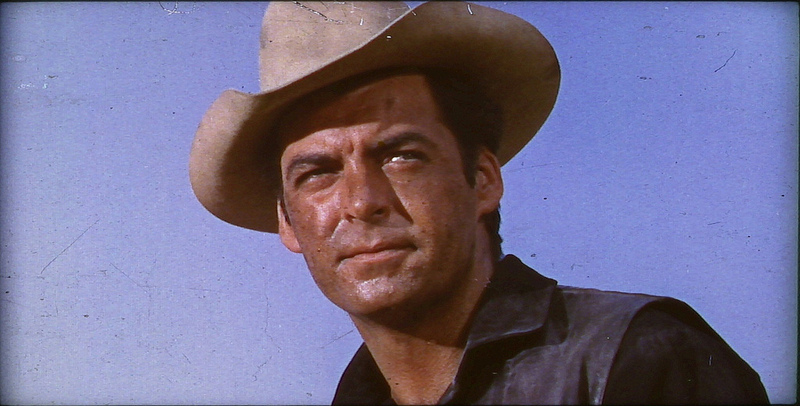 Here he is in The Comancheros (1961). Been thinking about this picture quite a bit lately. Partly because the Blu-ray is gorgeous. 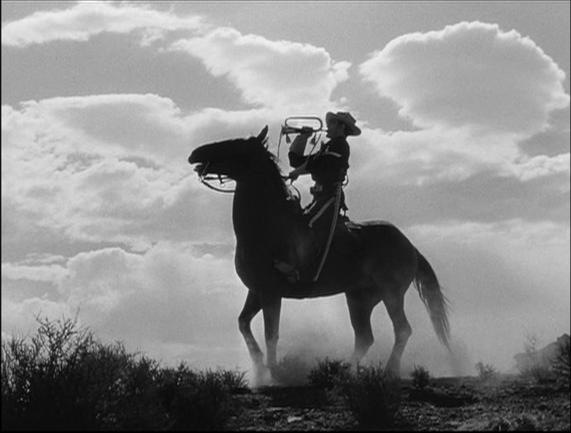 And because I’ve been thinking about what would’ve happened if Budd Boetticher had accept Duke’s offer and directed it. 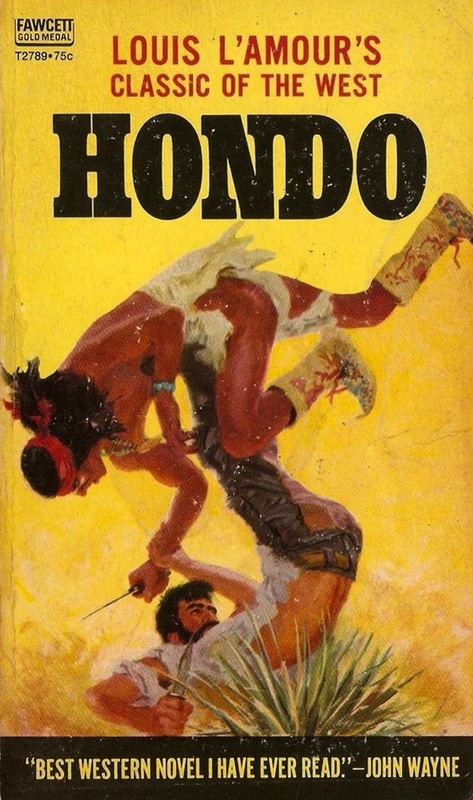 What a different film it would’ve been (though I like it just fine the way it is), and what a different career Budd would’ve had. Isn’t it amazing that over 50 years after this picture came out, we care about this stuff? Here’s remembering the brave men and women who’d given their lives for all of us here in the United States. 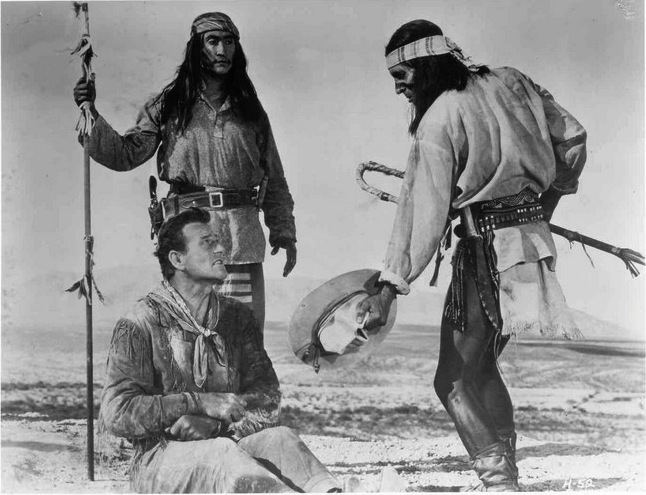 The image is from John Ford’s Fort Apache (1948). 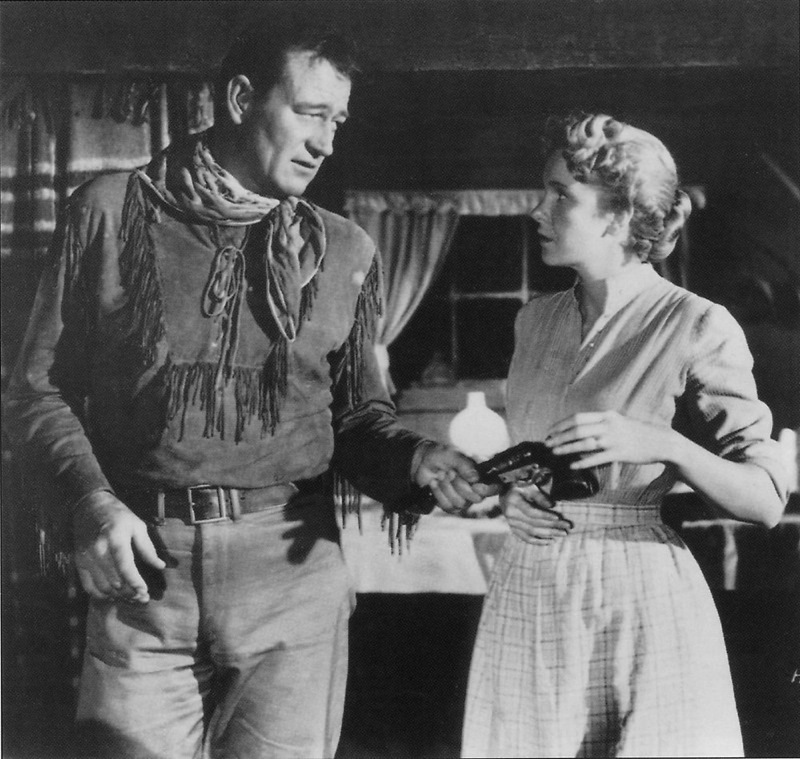 (Pre-) 50s Westerns DVD News #88: Pursued (1947). 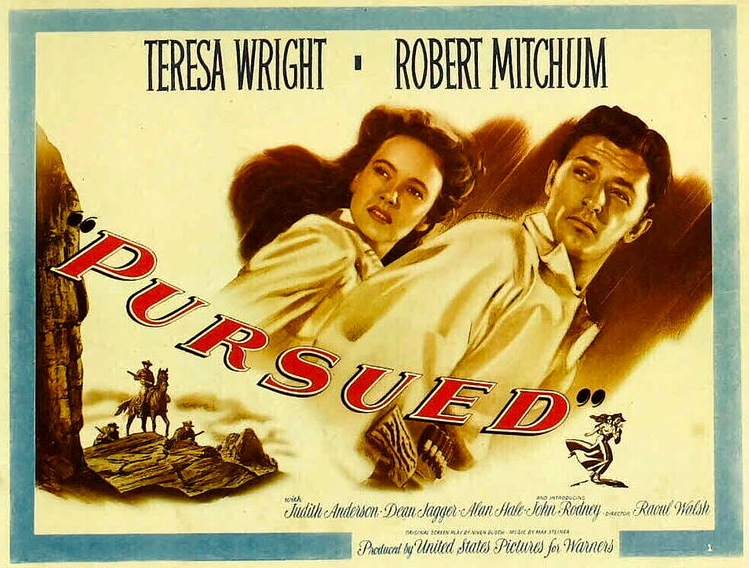 Coming on DVD and Blu-ray from Olive Films in August — Raoul Walsh’s Pursued (1947). Meet TheBrinkswayBoy. You’ll be glad you did. One of our knowledgeable friends out in Bloggywood maintains an amazing Flickr photostream — and it’s high time you were all introduced to it. 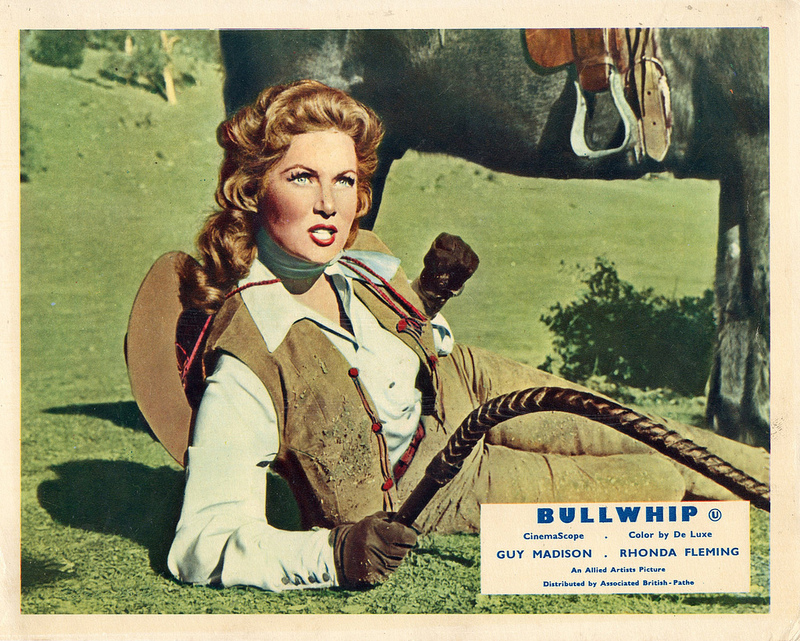 Below is Rhonda Fleming in Bullwhip (1958). In his notes on this one, David even tells you when and where he saw it. 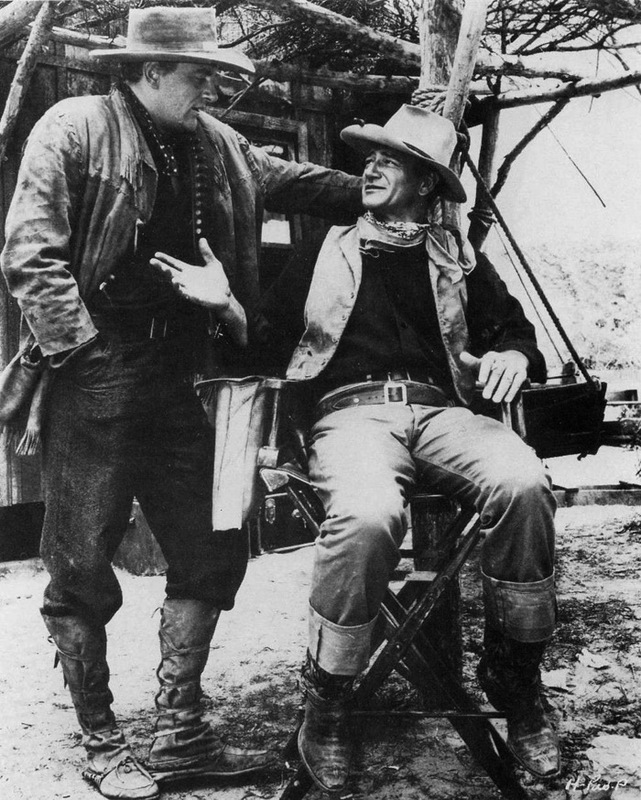 By the way, Bullwhip was scored by the great character actor James Griffith. There’s plenty more where these came from. 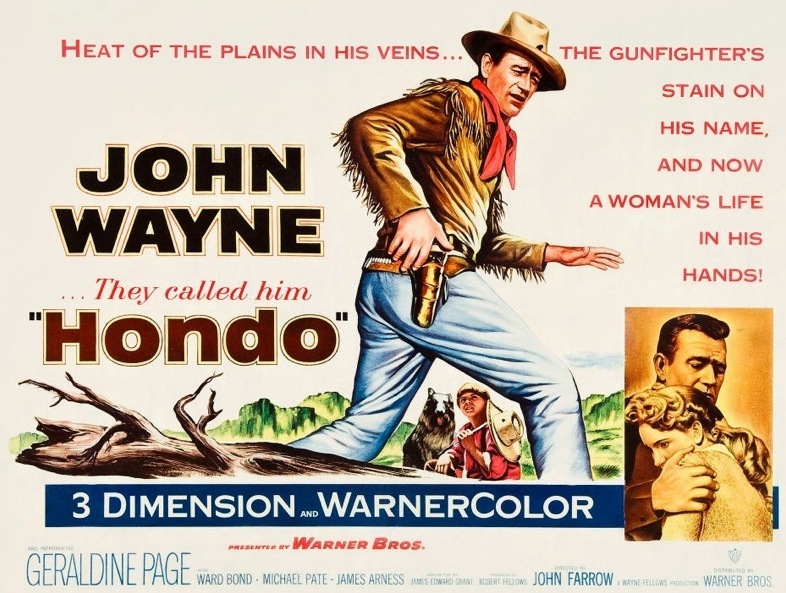 50s Westerns DVD News #87: Rio Grande (1950) and Johnny Guitar (1954). Just what we all need — some good news. Olive Films are doing us 50s Westerns fans a real favor these days, and I may need to have my salary direct-deposited into their account. 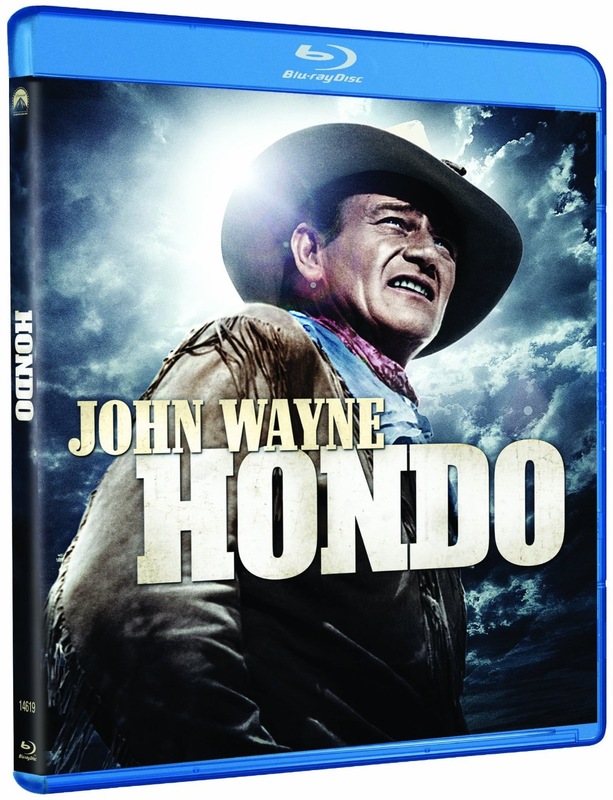 In recent weeks, they’ve come through with so many cool things: Run For Cover (1954), Denver And Rio Grande (1952), Pony Express (1953), The Hangman (1959), The Jayhawkers (1958), High Noon (1952) and more. 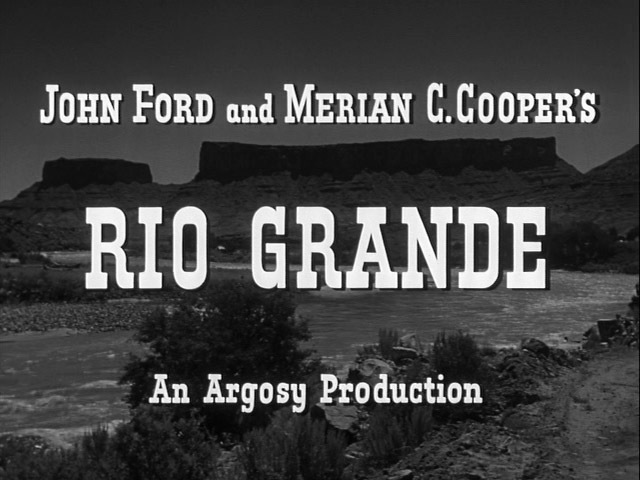 And now they’ve announced two more essential pictures — John Ford’s Rio Grande (1950) and Nicholas Ray’s Johnny Guitar (1954) — with a release date of August 7. Both will be available in standard DVD and Blu-Ray. No info on bonus features as of yet. Both are Republic pictures. Rio Grande received a nice DVD release several years ago. 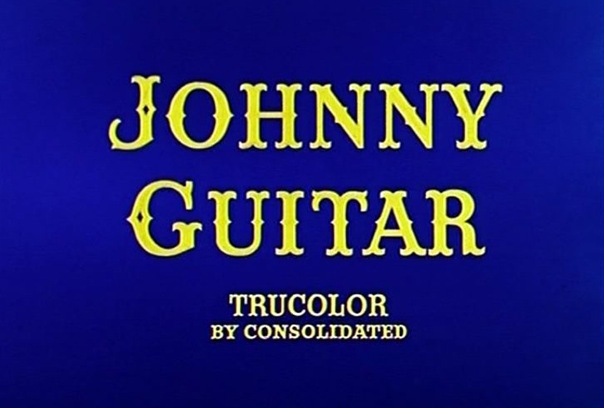 Laserdisc is the only round silver thing Johnny Guitar has been on in the States. Thanks to all of you who brought this to my attention.